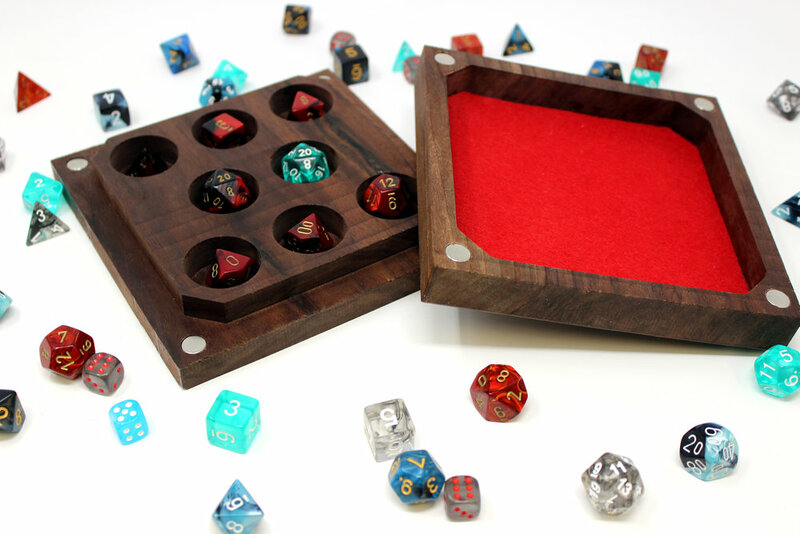 These dice trays are dual function, and serve as a simple yet elegant means to not only transport your favorite set of the iconic tools of our beloved trade, but also to have something to roll into. Have a particular character in mind? Let’s figure out what emulates them the best, in a way that brings them honor and glory. Don’t know what kind of wood you’d like? No problem! Roll a d20 and let the Gods themselves decide! Have a particularly strong affinity for Lolth and all things Drow? Your tray can have her sigil laser engraved, so Her strength can guide and protect you! The actual store option for these is under construction, but if you happen to be interested, feel free to reach out to me to start the conversation! Trays start at just $60!